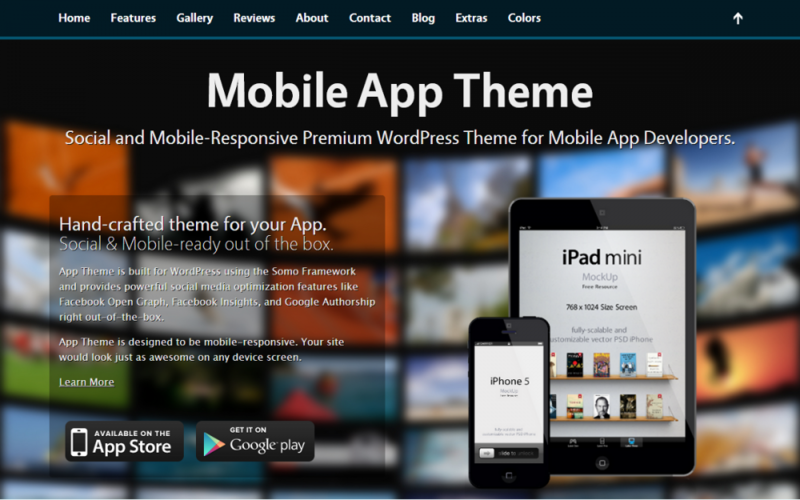 App theme is a Social and Mobile-responsive WordPress theme well suited to showcase your App or local business website. There are over 2 million apps on the App Store, Play Store, Blackberry World and Windows Store. Thats equivalent to the population of Houston. How do make your app stand out in the crowd? The App theme might be just what you may be looking for. With App theme, you can create a stunning website for your App in minutes!